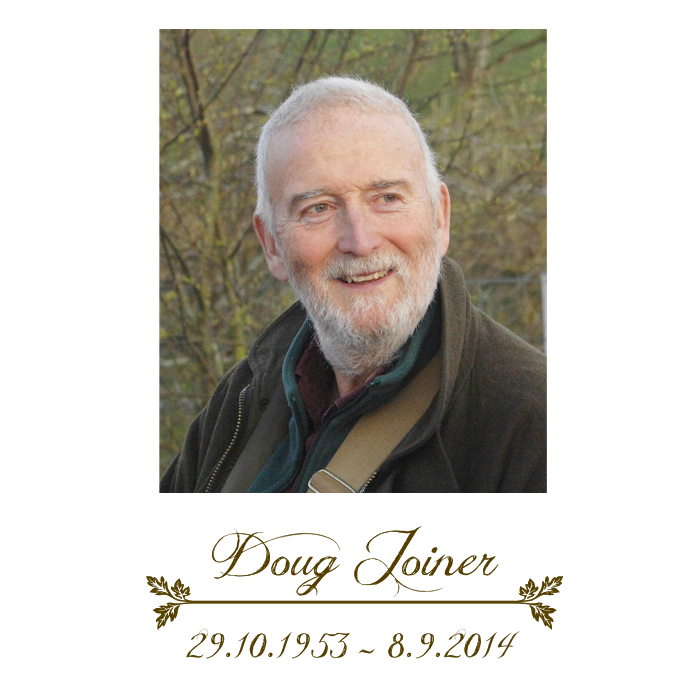 Doug Joiner passed away peacefully on the 8th September 2014. We held a tribute to his life in Childer Wood on Saturday 25th October. It was a magical evening with over 200 attending, reminiscing, celebrating and mourning his passing. For more of the event - please see the details here. The death of Doug Joiner leaves a huge hole in the worlds of both horse logging and the working horse movement. Doug was involved with the British Horse Loggers from its original formation in the early 1990s, and became Chair of the BHL Committee in 2000, when BHL was a specialist group within the Forestry Contracting Association. Doug then led the BHL on a period of rapid change and development. Under his leadership, the BHL separated from the FCA, and was established as an independent group. Shortly afterwards, Doug’s practical example and advocacy brought to the BHL the patronage of HRH The Prince of Wales. Royal patronage opened doors for a small organisation. The British Horse Loggers Charitable Trust was formed with Doug as Chair, and this allowed the creation and funding of the British Horse Loggers Apprenticeship Scheme. Doug was always hospitable, and saw social gatherings as a very necessary cement for a small organisation with a membership spread widely and thinly across the UK and beyond. His woodland, Childer Wood in Herefordshire, was the venue for the annual BHL AGM and Competitions over many years, together with other courses and events. He was a tireless and fluent advocate of horse logging, running demonstrations, talks and training courses, encouraging and inspiring many new entrants to take up the reins. Doug’s networking skills were phenomenal, both by e-mail and face to face. He travelled widely in the UK and Europe, especially in support of FECTU, and had visited horse loggers as far away as Japan. In more recent times, Doug’s interests diversified from his horse logging core to a wider view of the modern working draught horse on the land and on the streets. His personal enterprise, the British Festival of the Working Horse, has promoted demonstrations of modern economic horse power in market gardens, vineyards, and elsewhere. For those of us who knew him, we are left with the memory of a big, genial, generous, hospitable and, above all, passionate man. He is going to be a very hard act to follow. The finest memorial we can give him is to continue the cause of which he was so eloquent a champion. and the Autumn 2016 "Timber Tongues" BHL Newsletter has details of the "Doug Joiner Horse Lodge"
can be read by clicking on their names. 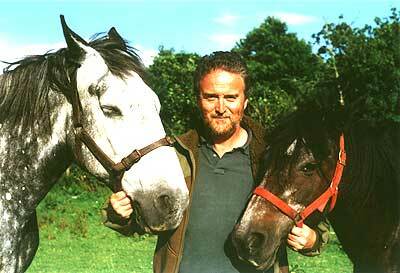 Doug was a professional horse-logger and qualified trainer, based at Childer Wood and Meephill Coppice in Herefordshire and working for National and Local bodies, Wildlife Trusts, and woodland owners. He was an Approved Contractor being on the Professional Register of the British Horse Loggers, the National Industry Body for horse logging contractors. He had several working horses. 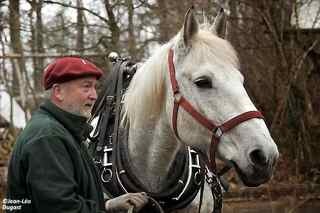 He also provided tuition and ran demonstrations of working horses at shows.